Choose Custom Auto Detail, Spokane's #1 Choice for over 30 Years! been providing customers with fair prices and quality customer service. 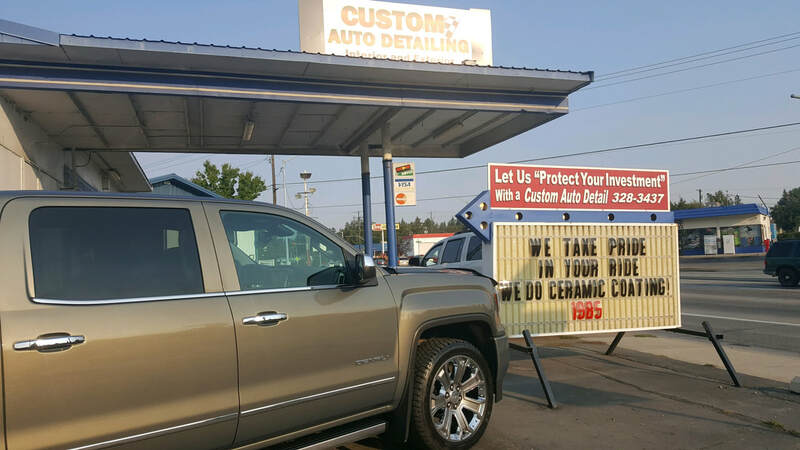 Not only has Custom Auto Detail been in business longer than any other Auto detail business in Spokane, they still continue to have the best deals in town. You won't find pictures of Ferraris with scantily clad women or slick advertisements on their website. Custom Auto Detail is about helping everyday people protect their investments by bringing that new car smell and look back to their vehicles. Whether your truck is caked in dirt; or your mini-van has been destroyed by your children, Custom Auto Detail has long been successful in quickly and efficiently renewing cars and trucks back to their original shine.